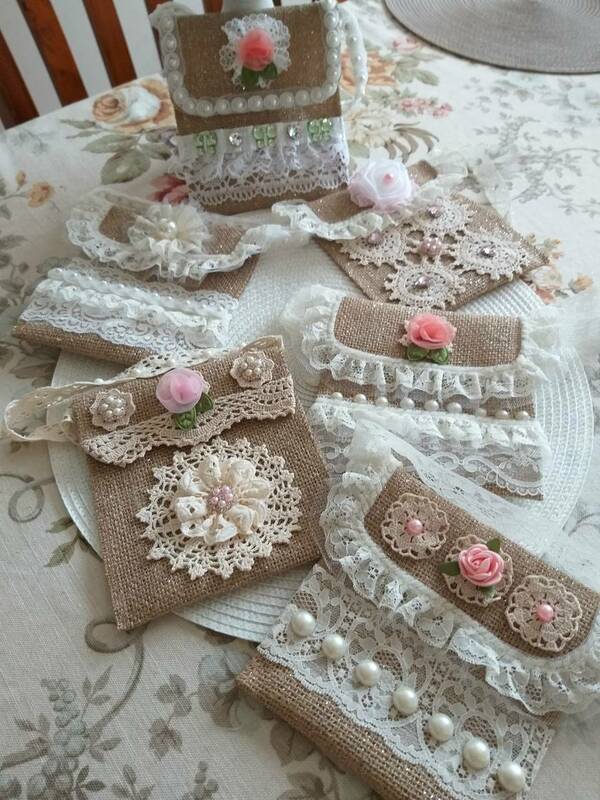 Made of shiny burlap with decorations, pearls and laces. It has lace handle, which is just decorative. 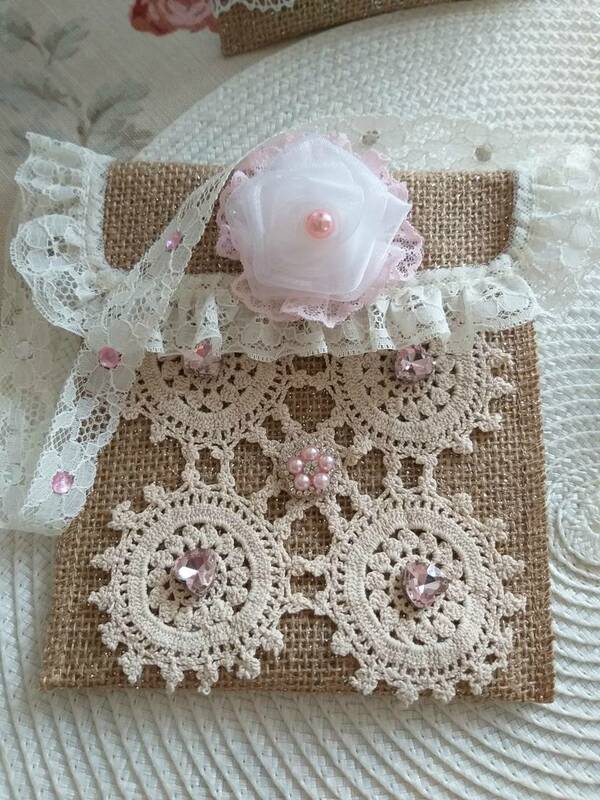 Great as a gift, and as a gift or jewelry bag. Contact zoescraft to enquire about payment or shipping options.